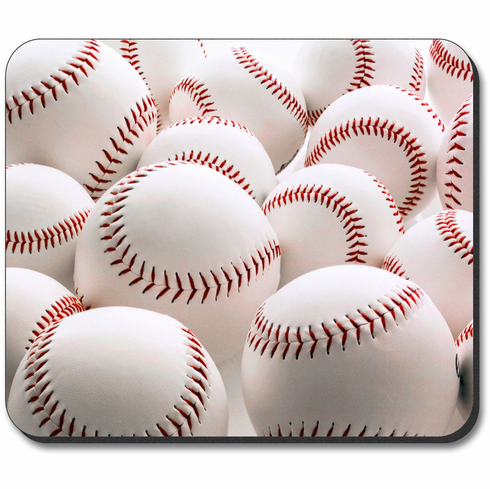 These 9 1/4" x 7 3/4" x 1/4" thick mousepads feature lots of white baseballs. A perfect addition to any baseball desk or computer area. Deluxe quality, precise tracking, non-skid base, works with any kind of mouse.